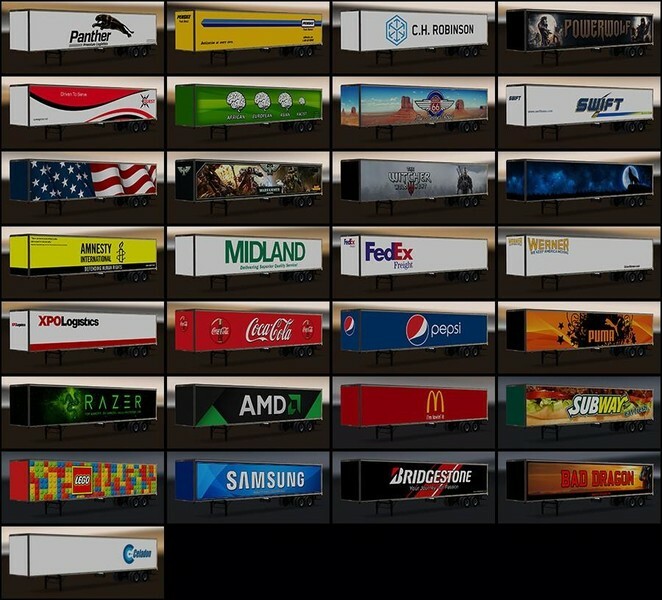 Modell: BigBadWerewolf (new skins, adding cargoes, minor original textures changes); FastFox (Bad Dragon skin); Cyrus TheVirus, David Corley, Solaris36, Stewowe (original “USA Trailers Pack Update 1.3” mod);SCS (wheels, chassis). 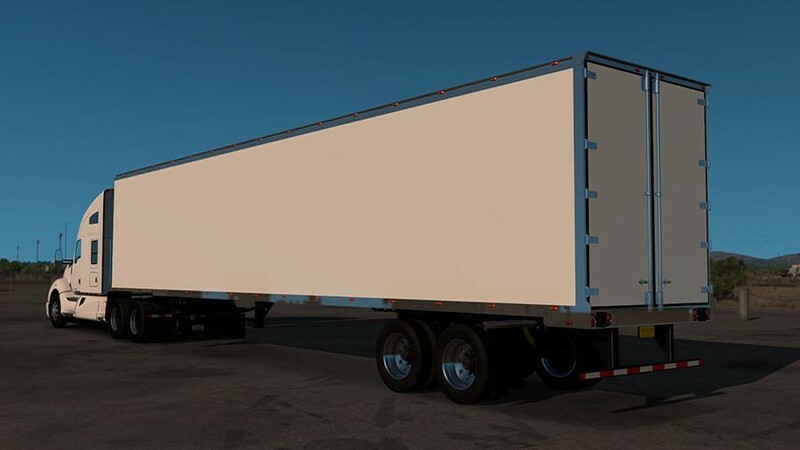 Textur: BigBadWerewolf (new skins, adding cargoes, minor original textures changes); FastFox (Bad Dragon skin); Cyrus TheVirus, David Corley, Solaris36, Stewowe (original “USA Trailers Pack Update 1.3” mod);SCS (wheels, chassis). 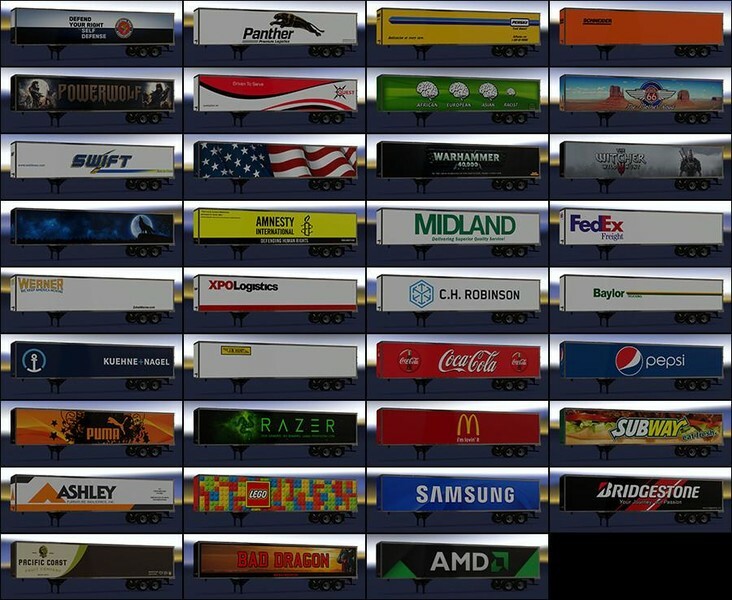 Script: BigBadWerewolf (new skins, adding cargoes, minor original textures changes); FastFox (Bad Dragon skin); Cyrus TheVirus, David Corley, Solaris36, Stewowe (original “USA Trailers Pack Update 1.3” mod);SCS (wheels, chassis). Idee / Konzept: BigBadWerewolf (new skins, adding cargoes, minor original textures changes); FastFox (Bad Dragon skin); Cyrus TheVirus, David Corley, Solaris36, Stewowe (original “USA Trailers Pack Update 1.3” mod);SCS (wheels, chassis). 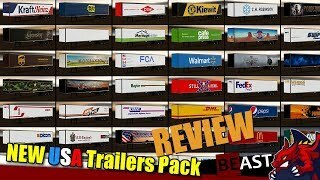 Tester: BigBadWerewolf (new skins, adding cargoes, minor original textures changes); FastFox (Bad Dragon skin); Cyrus TheVirus, David Corley, Solaris36, Stewowe (original “USA Trailers Pack Update 1.3” mod);SCS (wheels, chassis). 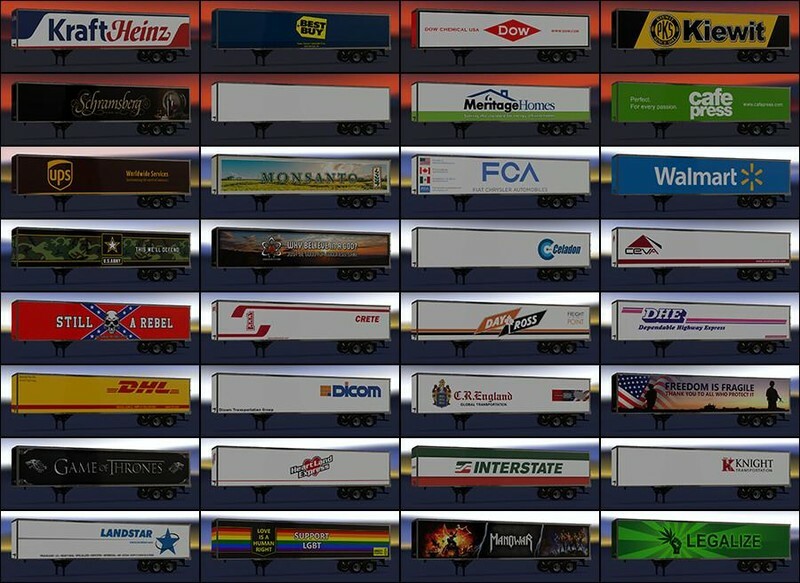 Sonstige: BigBadWerewolf (new skins, adding cargoes, minor original textures changes); FastFox (Bad Dragon skin); Cyrus TheVirus, David Corley, Solaris36, Stewowe (original “USA Trailers Pack Update 1.3” mod);SCS (wheels, chassis). MSI Habdorn (Midland Gravel Trailers wheels). – Added 7 new skins. 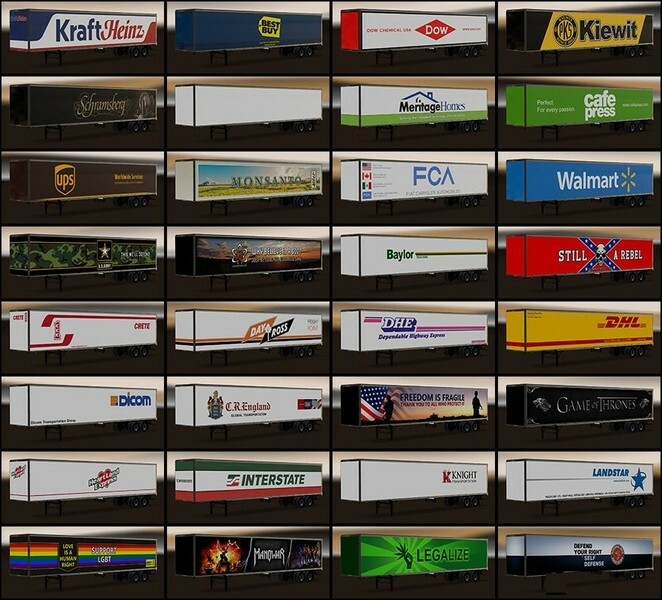 Mod adds a large number of new standalone trailers with “boxed” cargoes. All trailers support advanced coupling and added in traffic. In “Optional files” folder you can find small mods for censoring some skins. These mods change skins to white color like a “Without logo” trailers, Bad Dragon censorship mod removes this trailer from the game. Censorship is available for the following skins: Amnesty International; Anti-racism; Atheism; Bad Dragon; Confederate; LGBT; Legalize; NRA. Install this mods with a higher priority than the main mod. Pacific Coast Fruit Company – vegetables.